AdHoc Translations has been providing translation, interpreting, and linguistic services for companies in many different fields for nearly 30 years. An agency with a modern technological focus, they chose Memsource as their preferred CAT tool for several reasons, including its user-friendliness and cloud-based platform. 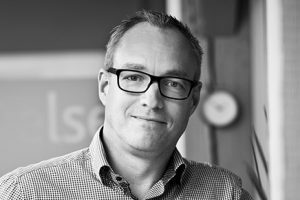 AdHoc Translations CEO Jesper Nielsen provided an overview of their translation management challenges and requirements, and the solutions they found with Memsource to increase efficiency. Before transitioning to Memsource as our preferred CAT tool, we worked with a range of other CAT tools. We had no server solution since the return on investing in server solutions for more than one tool would be too low. This meant that our internal processes became too time-consuming and resource-intensive for all parties involved. It made our project managers’ work unnecessarily difficult because they had to spend too much time on manually importing and exporting translation memories (TMs) and files between the various systems, which also involved an increased risk of errors during the process. Moreover, it was far from optimum that our external translators were unable to work in the same TM in real-time. This could affect the quality of the final product and therefore meant that the project manager had to spend extra time checking for consistent terminology etc. For our external translators, it also often meant expensive investments in systems that were not always particularly intuitive. They would also not benefit from each other’s work when they shared a particular job with other translators. A flexible Cloud solution that would make it possible to work in the same TM in real time and which solved the problem of having to send TMs back and forth. An intuitive system that was easy to use for project managers and translators alike. A solution that could easily be integrated with our other systems and tools. A solution that allowed us to work in the same platform as our customers (shared projects). A secure solution that would enable us to still offer our customers full confidentiality. An efficient solution where we would always be sure to get quick and good support. A solution that did not require the translators to make investments, which would make it easy and attractive for them to work for us. A flexible solution adaptable to our needs and where we would be able to add new functionality over time. Memsource was able to meet all our requirements and needs, and the transition has been surprisingly easy and smooth. Working in Memsource has made the work easier for our project managers - they have saved at least 10% of their time, allowing us to increase our turnaround time for clients. We have better terminology consistency among the translations by centralizing everything in Memsource. Additionally, we have only received positive feedback from our translators, who have found the CAT tool extremely easy to use. Finally, we have profited by transitioning to Memsource as our preferred tool, partly because of the system itself, but also because of the team behind, who offers fantastic support and who is always ready to adapt to their customers’ needs. Memsource is more than just a supplier; they are a good and stable business partner, who we value greatly. AdHoc Translations is a modern translation agency that understands how to combine proud traditions with the latest technologies, which is what sets us apart. With nearly 30 years’ experience in the industry, we combine the best from 3 generations.